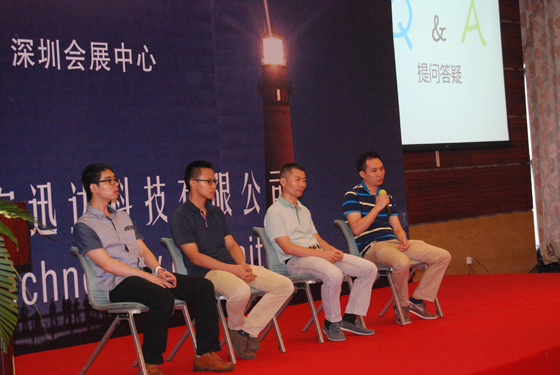 On August 20, 2015, a Internet+ hotel lock theme new product launching was held in Jasmine Hall of Shenzhen Convention and Exhibition Center. Over 300 people attend this event . 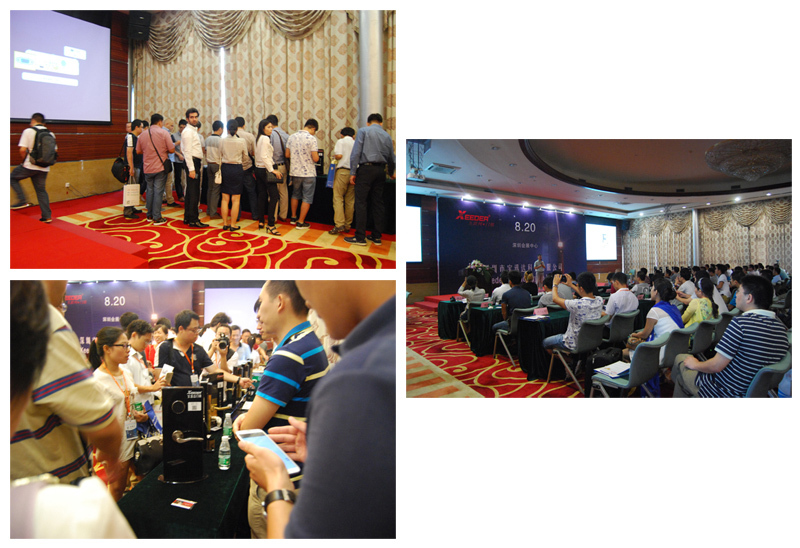 Participants were deeply attracted by rich and exotic products, are intently absorbed a variety of information than ever before.We have established the product experience Center. 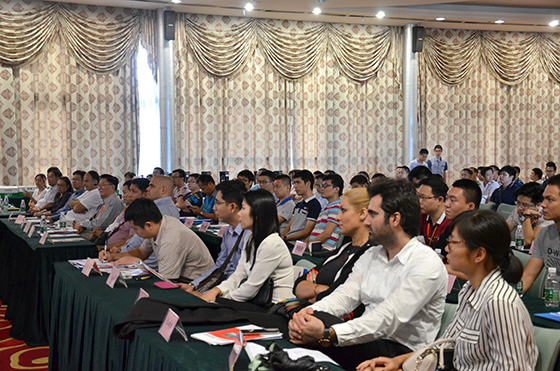 At the end of the Conference, the participants are actively involved in experiencing what is Internet lock. The last link, professional technical staff site FAQ for participants. Big data, mobile Internet, social media, smart devices, positioning systems, human-machine interaction are changing our business and life have been the coming wisdom era, brewing great wealth, understand trends, are at the outlet, who took the initiative, who can win the future! Currently the Internet + become popular in the world, with real networking, wisdom city, wisdom hotel construction of constantly advance, Alibaba group invest 2.8 billion to the hotel information service business company Shiji information.It caused industry of widely concern, so, Internet + hotel whether will ushered in next Internet of Typhoon mouth has became everyone of concern hot, and Internet + lock whether will became this typhoon of Typhoon eye more is is attention.